Inflate your holiday spirit! 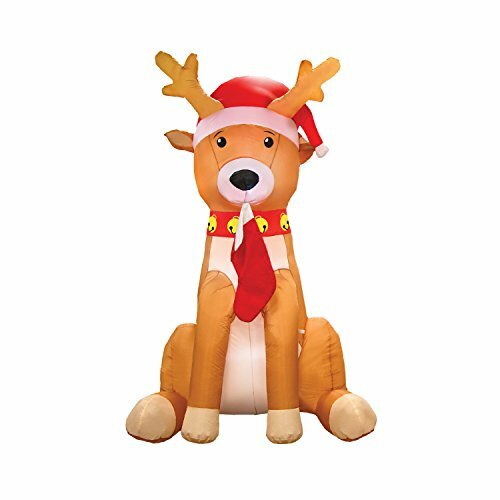 Adorable Randy the Reindeer Inflatable lets you share your joy for the season. Our jumbo inflatable decoration is 7.5’ tall by 114” wide. The reindeer holds a stocking and his antlers shine in the dark too. Set up is easy. The energy-efficient fan uses half the energy than comparable inflatables and it’s quieter too. Antlers light up in the dark too! EASY SET UP - 1, 2, 3! If you have any questions about this product by AirFormz, contact us by completing and submitting the form below. If you are looking for a specif part number, please include it with your message.